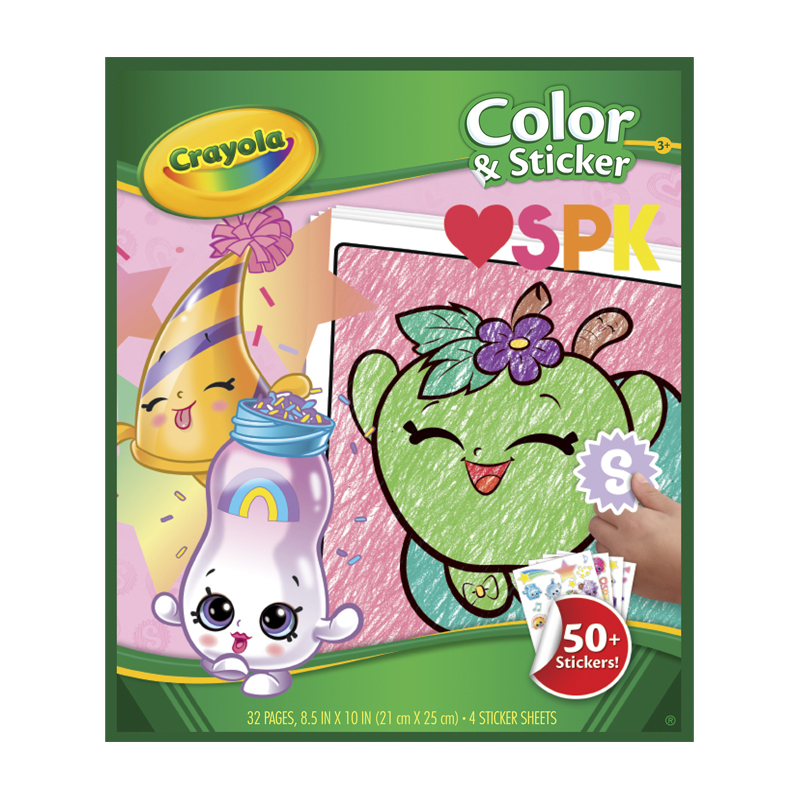 With 32 pages of happy and fun scenes from Shopkins, this Crayola Color & Sticker Book gives kids the chance to color in their favorite grocery store characters. The colorful and vibrant world of Shopkins provides lots of opportunities for kids to play out their own creative journeys. Included in the Color & Sticker Book are over 50 large stickers of detailed images from the Shopkins collection. 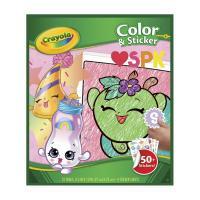 Kids will enjoy enhancing their coloring by adding official Shopkins stickers in the new scenes they create. Color & Sticker Books allow kids to take entertainment into their own hands. These books promote active play, help spur social interaction with other children, and kick off adventures in creative expression. Full of characters and scenes from the wild world of Shopkins, this Color & Sticker Book lets kids ages three and up engage with characters like Pancake Jake and Berry Smoothie in their own colorful way. By giving kids the tools to interpret the Shopkins however they want, this book helps children explore the power of their own imaginations. 32-page Shopkins Color & Sticker Book and over 50 stickers on 4 sticker sheets.